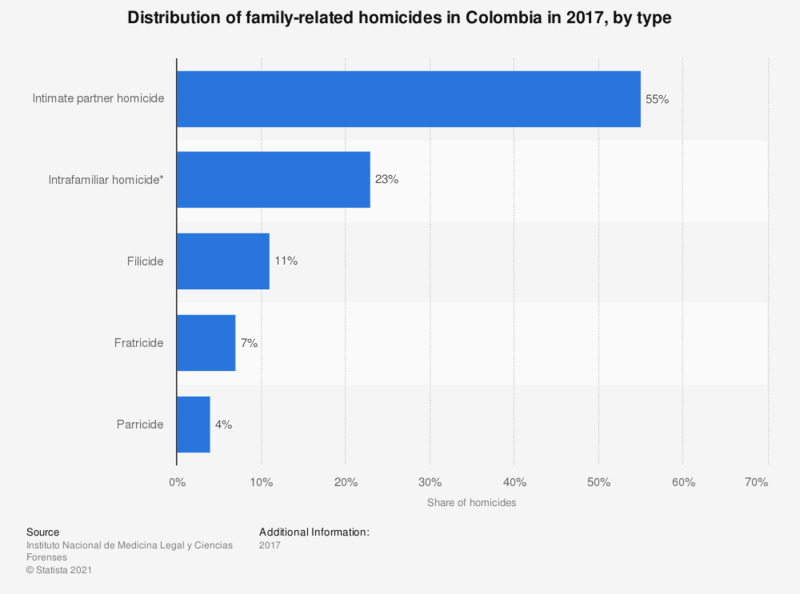 This statistic displays the distribution of family-related homicides in Colombia in 2017, sorted by type. That year, about 55 percent of family-related murders were perpetrated by the victim's intimate partner, while 23 percent were committed by a relative outside of the first degree of consanguinity or affinity. * Intrafamiliar homicide refers here to the murder committed by any other person related by consanguinity or affinity within the second degree. Which attributes do you associate with products made in Colombia?